Do you want to help your children set achievable goals for this school year? This is a Bible study designed to help you do just that. 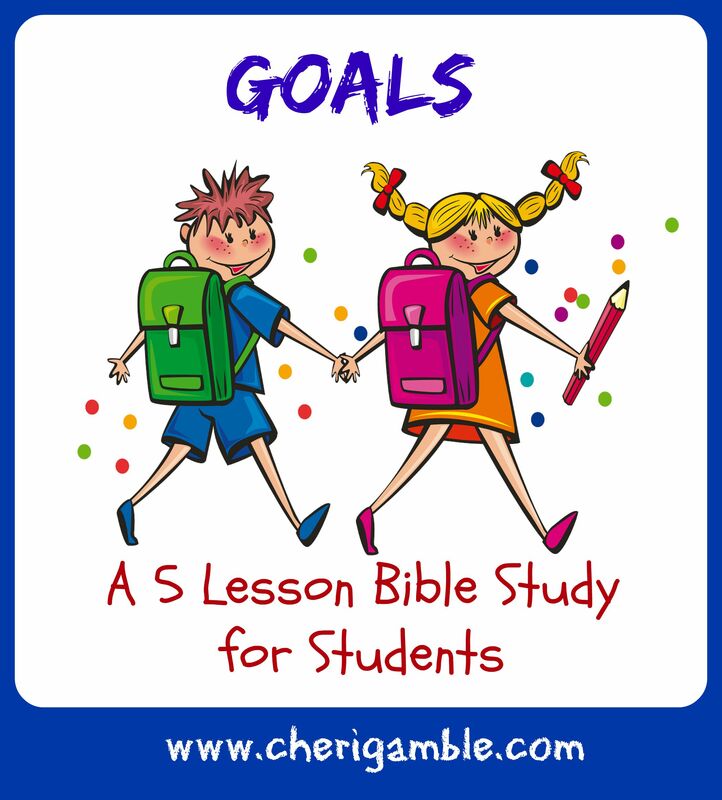 Using Scripture, this study is divided into five lessons that help you and your child create achievable goals in the areas of spiritual, physical, social, and academic growth. It can be completed individually or as a family, and is perfect for the week before the school year begins — but you can also do it whenever your schedule allows. Interested? Click on the pdf file below to download it free. May God bless you & your family as you raise your children to love the Lord and learn to keep Him first in all areas of life! If you enjoyed this study, be sure to check out the other Bible studies available here at Ministry Mom. You can choose from a variety of free Bible reading plans, as well as a selection of more detailed hands-on Bible curriculum.